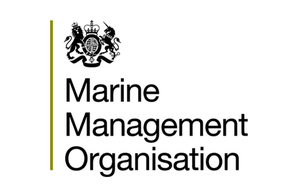 A fishing vessel master and owner were ordered to pay £12,008 in fines and costs by Newcastle Magistrates’ Court on 1 July 2014 for being able unable to produce required documentation and failing to submit a logbook. The Atlas (FR101), a demersal trawler skippered by Garry Bruce and owned by Atlas Fishing LLP, for which Mr Bruce is a director, was inspected at sea by Royal Navy officers from HMS Severn on 4 August 2013. Three offences were identified during the inspection. The master had not recorded or submitted an electronic log and he could not produce two statutory documents: a fish room plan and a stowage plan. Mr Bruce pleaded guilty to all three charges. He was ordered to pay £780 in fines, £415 in costs and a £78 victim surcharge. Atlas Fishing LLP was ordered to pay £10,200 in fines, £415 in costs and a £120 victim surcharge.